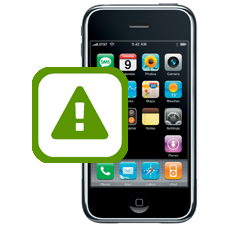 Our iPhone technicians have a great deal of experience in correcting and repairing common iTunes error codes. We can fix many of the more common iTunes error codes, these are usually displayed during an iTunes firmware upgrade or firmware restore on the iPhone 3G. If iTunes does display one of these specific error codes we can usually repair the problem, below is a list of common iTunes error codes we can fix and repair. Repair iTunes errors for the following iTunes error codes: 2, 4, 5, 6, 9, 13, 14, 18, 20, 21, 23, 28, 29, -48, -50, 1002, 1011, 1012, 1015, 1608, 1611, 2009, 3009, 9807, 9808, 9844. * Our normal repair turnaround times are 3 - 7 working days. We always aim to complete repairs as fast as possible. This is an in-house Apple iPhone 3G repair service, when ordering this service you are required to ship your iPhone into our repair centre for works to be undertaken.